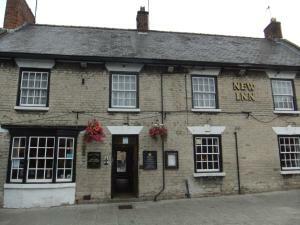 Below is a comprehensive list of hotels in Thornton-le-Dale. 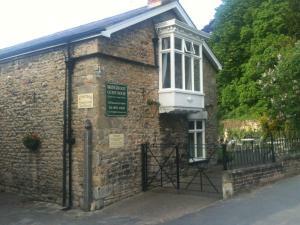 Use the sort links to refine your search or to find featured accommodation in Thornton-le-Dale. Many of our hotels in Thornton-le-Dale feature no booking fees and best price guarantee when booked through the Pictures of England website. To list your hotel in Thornton-le-Dale, click here. 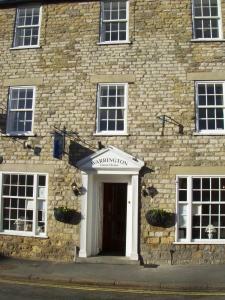 Located on the edge of the North Yorkshire Moors National Park, The New Inn is a Georgian coaching house dating back to the 1720s. Free on-site parkin.. 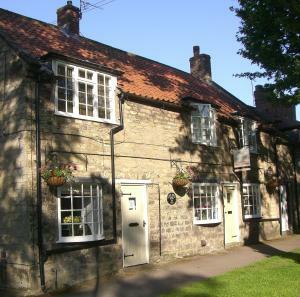 Forge View offers accommodation in Thornton Dale, 39 km from York and 29 km from Whitby. It provides free private parking. There is a dining area and..
Less than 3 miles from Pickering in the North York Moors National Park, Warrington Guest House offers a range of stylish rooms and a coffee shop and r.. Featuring a barbecue, Squirrel Cottage is a holiday home set in Thornton Dale. The unit is 39 km from York. A dishwasher and an oven can be found in ..
Shaws Cottage is a holiday home located in Thornton Dale in the North Yorkshire Region and is 39 km from York. The unit is 28 km from Whitby. 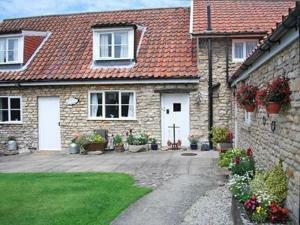 There i..
Daisy Cottage is a holiday home situated in Thornton Dale, 39 km from York. It provides free private parking. There is a dining area and a kitchen. 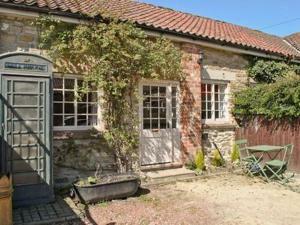 T..
Peasholm is a holiday home located in Thornton Dale in the North Yorkshire Region and is 39 km from York. The property is 29 km from Whitby and boasts.. 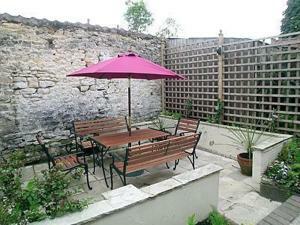 Featuring a garden, Church Farm Cottage is a holiday home located in Thornton Dale. The property is 39 km from York and boasts views of the garden. T..
Easter Cottage offers pet-friendly accommodation in Thornton Dale. The unit is 39 km from York. Towels and bed linen are provided in this holiday hom..
Pickering Lodges is situated in Pickering, 2.9 km from Flamingo Land Theme Park. Dalby Forest is 8 km away. Free WiFi is available . The accommodatio.. Within an 8-minute walk of 13th-century Pickering Castle, Eden House B&B offers traditional country cottage en suite accommodation and award-winning b.. Located at the gateway to the spectacular North Yorkshire Moors National Park, Bramwood Cottages offers holiday home accommodation. Free parking is av.. 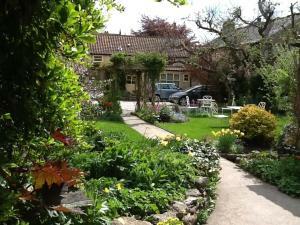 Featuring a garden, Bow Cottage is a holiday home set in Pickering. It provides free private parking. A dishwasher and an oven can be found in the ki..
Hallgarth House offers accommodation in Pickering. The property is 5 km from Flamingo Land Theme Park and boasts views of the garden. Free WiFi is fea.. Located 2.7 km from Flamingo Land Theme Park and 8 km from Dalby Forest, Daisy Cottage offers pet-friendly accommodation in Pickering. Free WiFi is of.. Located 4.2 km from Flamingo Land Theme Park, Levisham offers pet-friendly accommodation in Pickering. The property is 7 km from Dalby Forest and free.. 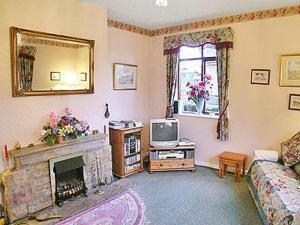 Featuring a garden, Danbydale is a holiday home situated in Pickering in the North Yorkshire Region. The property features views of the garden and is ..
Hungate Garden Cottage is a holiday home located in Pickering, 4.2 km from Flamingo Land Theme Park. It provides free private parking. 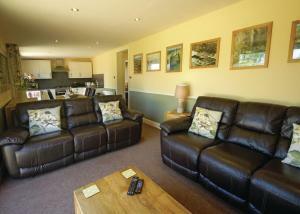 The unit is eq..
Bransdale is a cottage set in Pickering, 4.2 km from Flamingo Land Theme Park. The unit is 7 km from Dalby Forest. An oven and a toaster can be found..